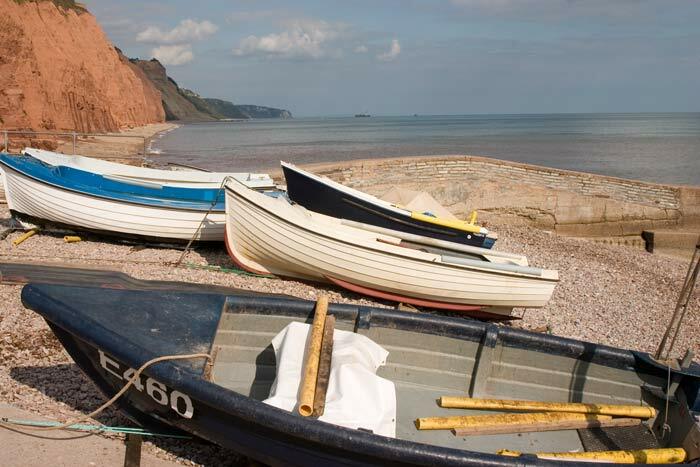 Sidmouth is on the East Devon part of the Jurassic Coast, it has a population of around 15,000 with a high proportion over 65. 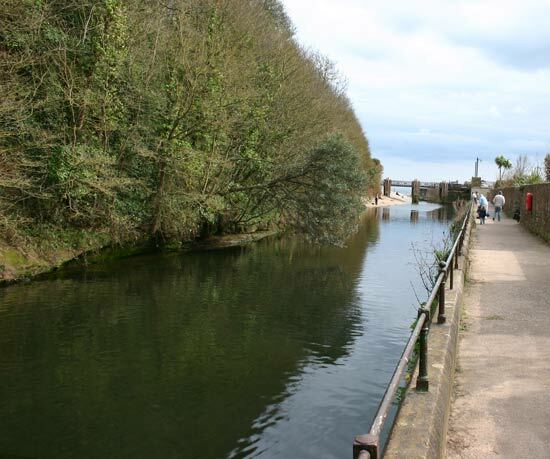 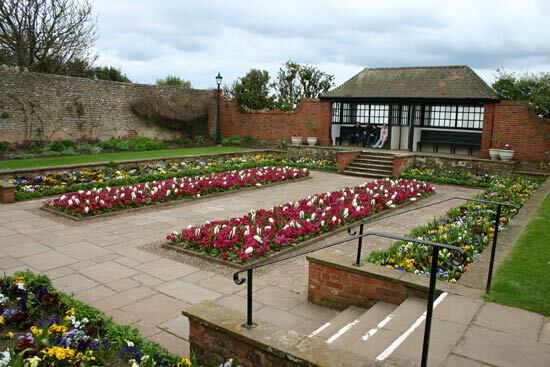 The town has avoided modern developments retaining its character well and is a very pleasant place to visit. 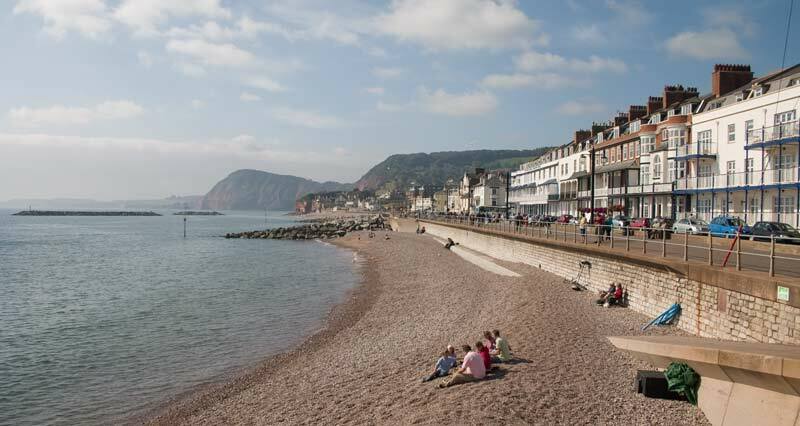 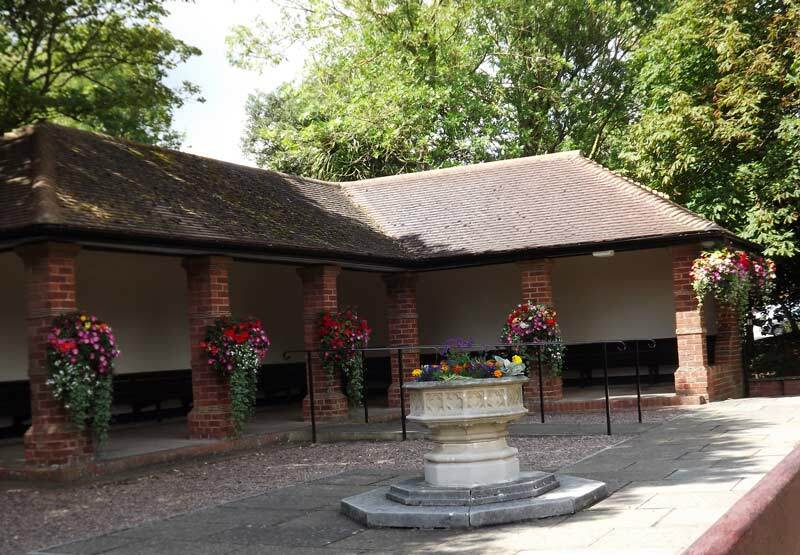 When we visit Sidmouth we park in Manor Road car park and cross the road into Connaught Gardens. 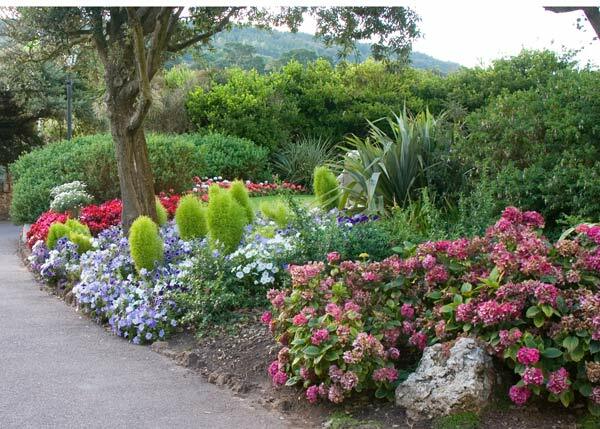 The flowers are a delight and there are glimpses of the sea as you walk around. 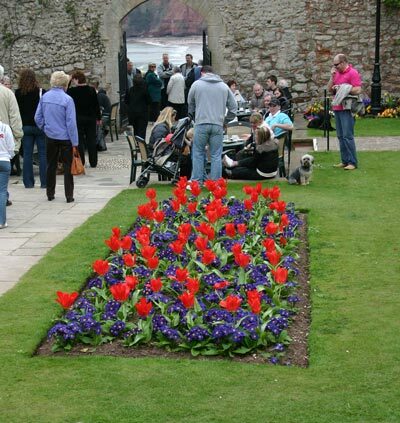 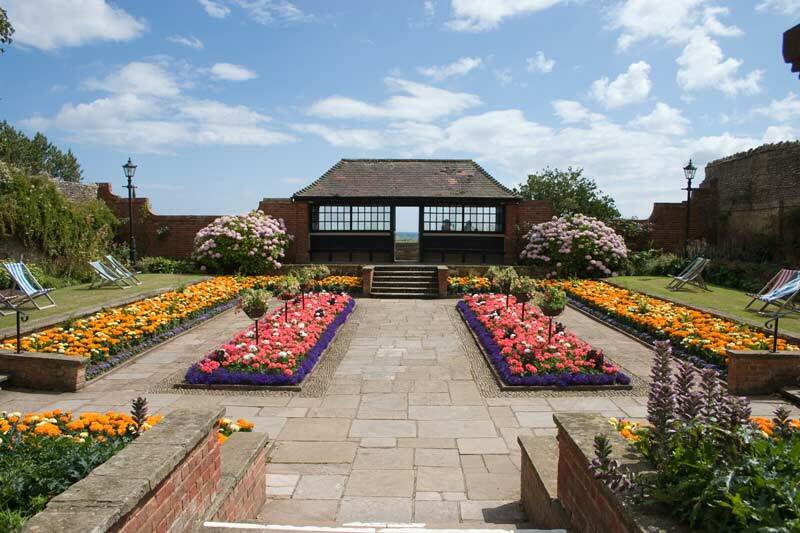 Flowers, blue sky and a glimpse of the sea, sums up the gardens! 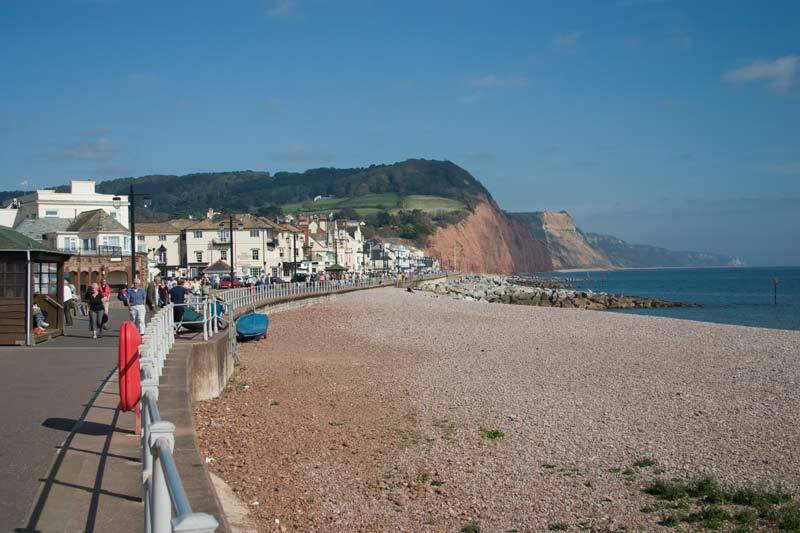 From the eastern end of the gardens you have a good view along Sidmouth beach to the cliffs beyond to Beer Head, behind which Seaton shelters. 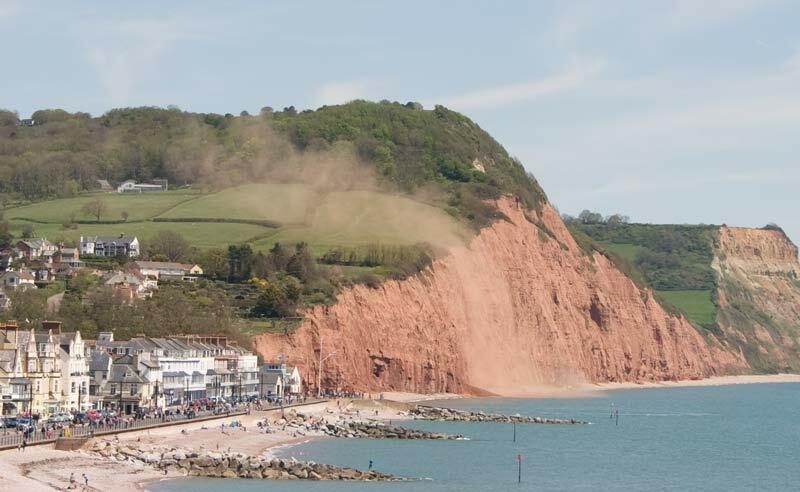 When we were there on 13 May 2012 we chanced to see a rock fall on the cliffs to the east of the town which produced a spectacular cloud of dust which looked as if it wanted to get back on dry land! 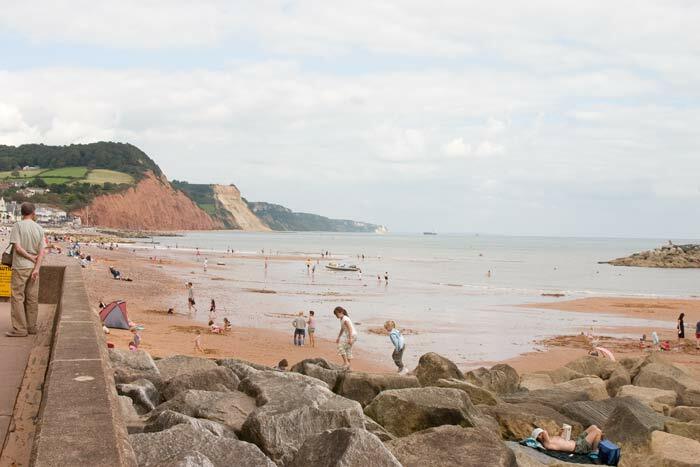 There was quite a pile of rock on the beach afterwards - which didn't seem to deter the couple in the right hand photo from lazing on the beach! 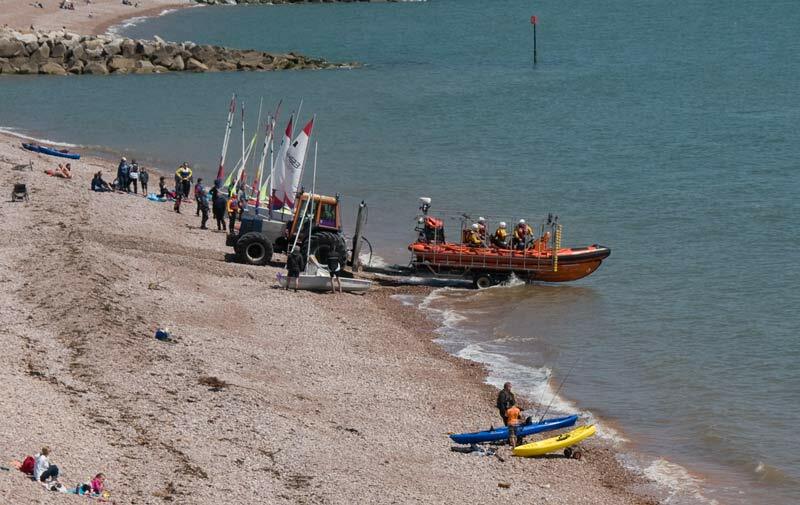 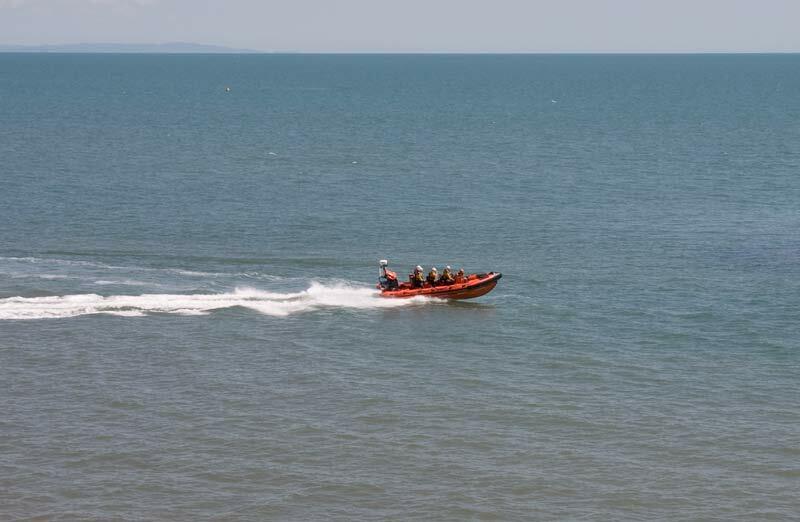 Shortly after the rock fall the Sidmouth Rescue inshore lifeboat was launched from the beach. 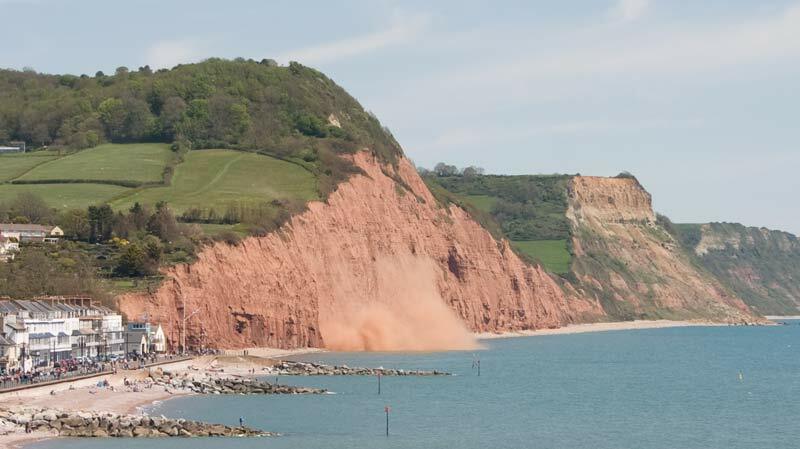 It wasn't launched due the the rock fall as it headed in the opposite direction and began searching around the base of the cliffs. 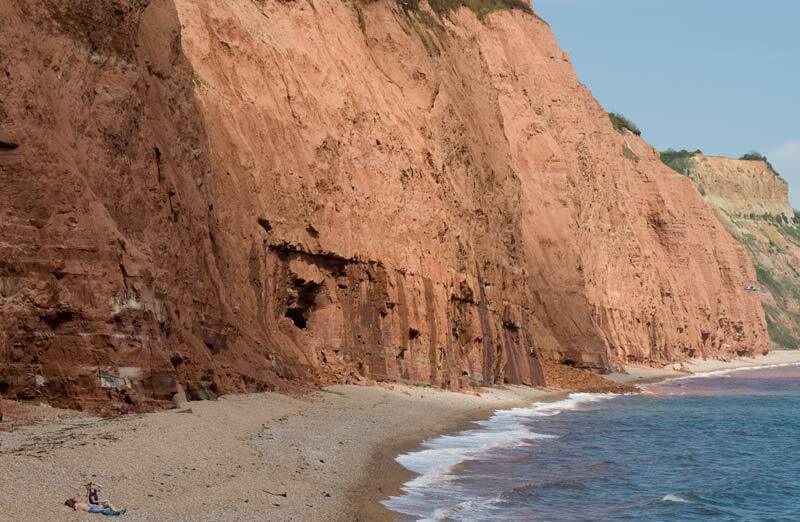 Another view of the cliffs to the west. 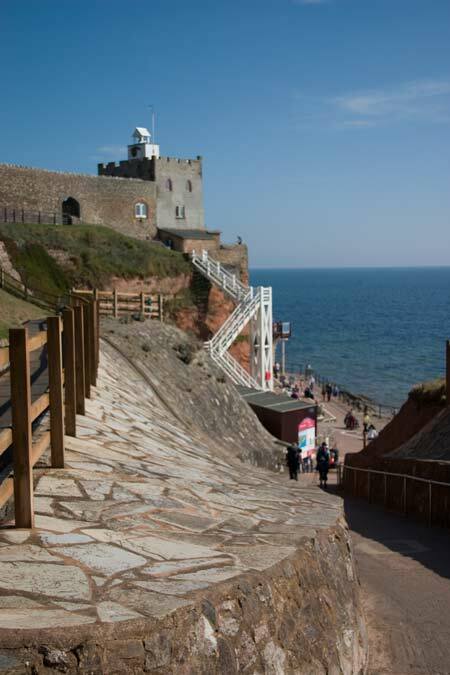 ...Jacob's Ladder which leads down to the western part of the beach and via a walkway along the base of the cliff to the main beach. 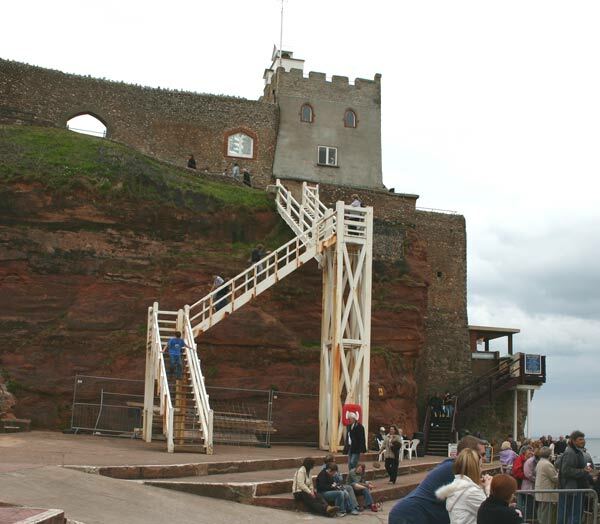 Jacob's Ladder again, this time from half way up the path which is a rather steep climb itself. 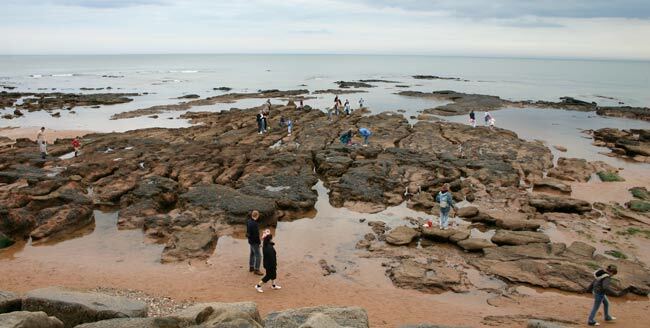 When the tide is out you can also go via the beach, taking time to explore the rock pools along the way. 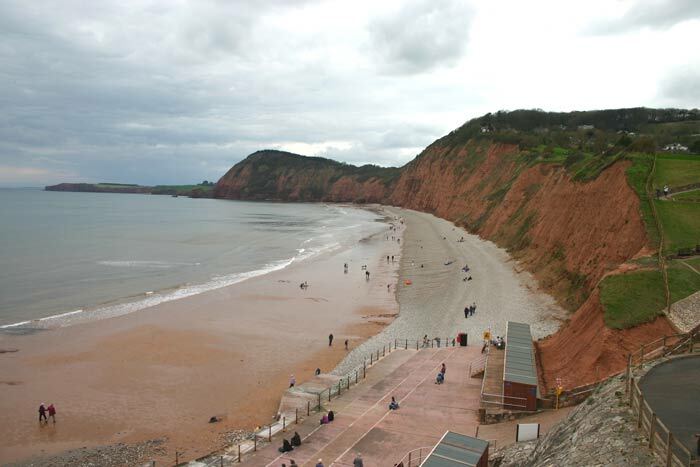 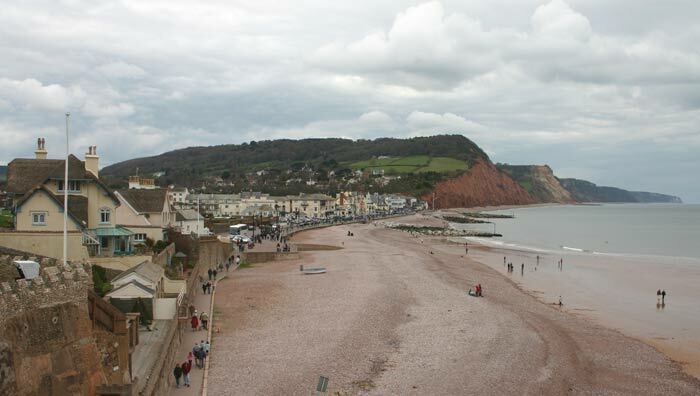 A view along Sidmouth beach to the cliffs beyond. 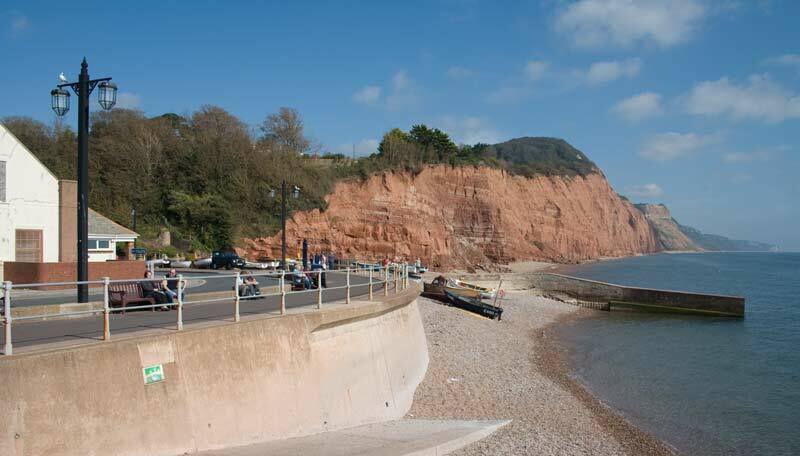 A series of views of the sea front from sea level. 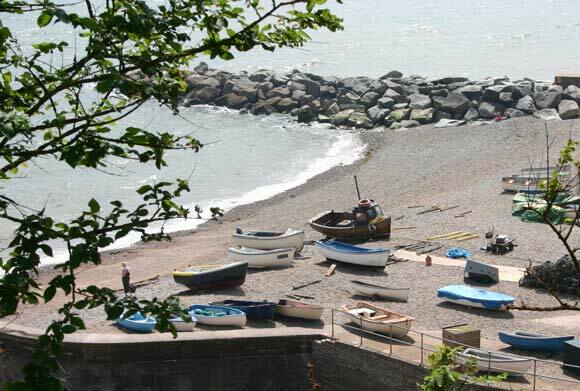 There are a few working fishing boats at Sidmouth which are drawn up on the beach at the mouth of the River Sid at the eastern end of the promenade. 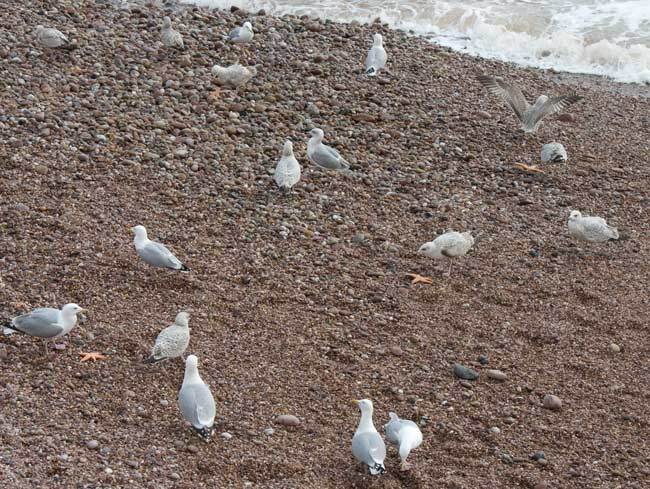 An unusual sight one March morning was these herring gulls feasting on starfish that had been washed up on the beach. 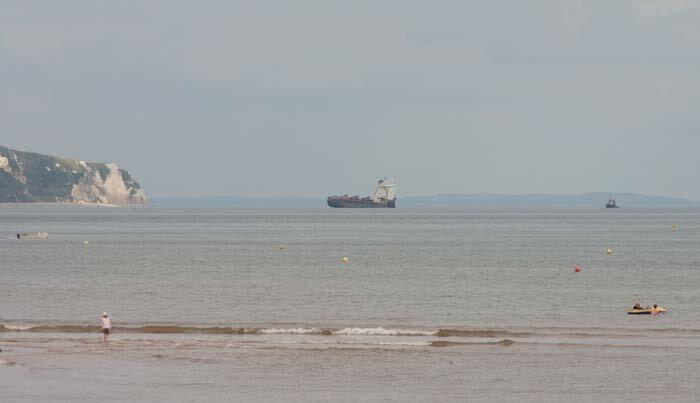 The stern section of the grounded containership Napoli is visible in the distance - see Seaton and the Axe for more about her presence. 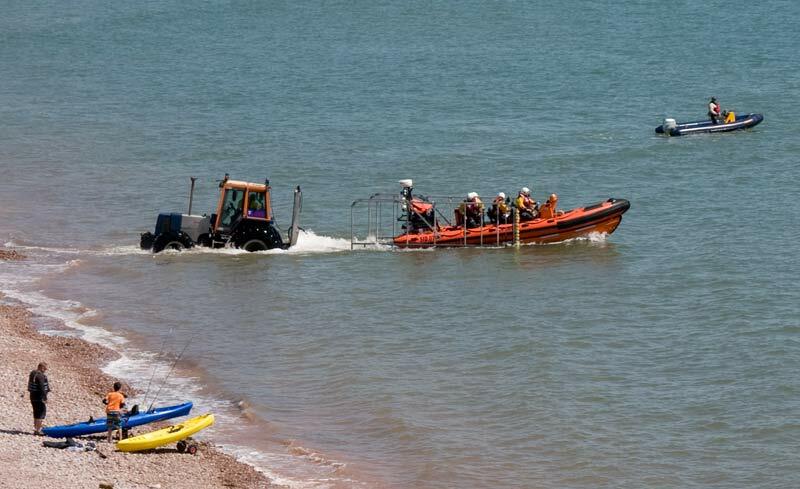 The wreck has now been completely removed with no trace remaining. 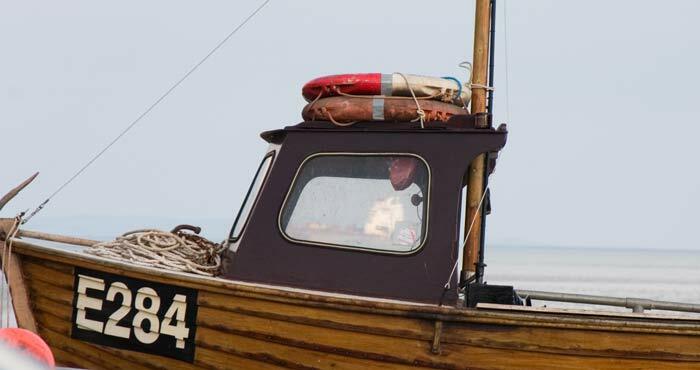 Another view of the Napoli, this time seen through the wheelhouse windows of a fishing boat. 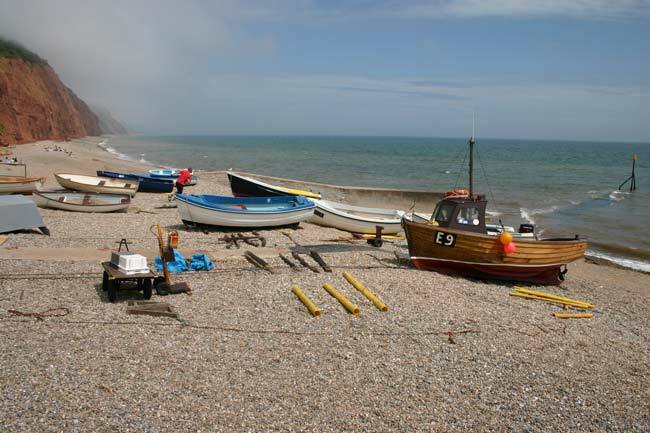 Another view of the boats, this time from the path that leads up the cliff the other side of the river. 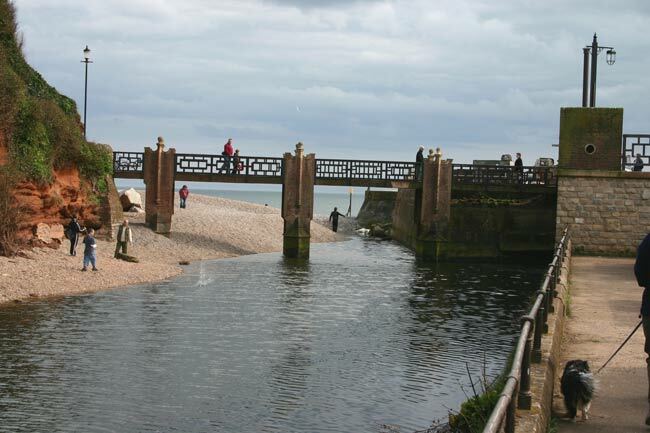 The River Sid close to where it flows into the sea which is the other side of the bridge in the background in this view. 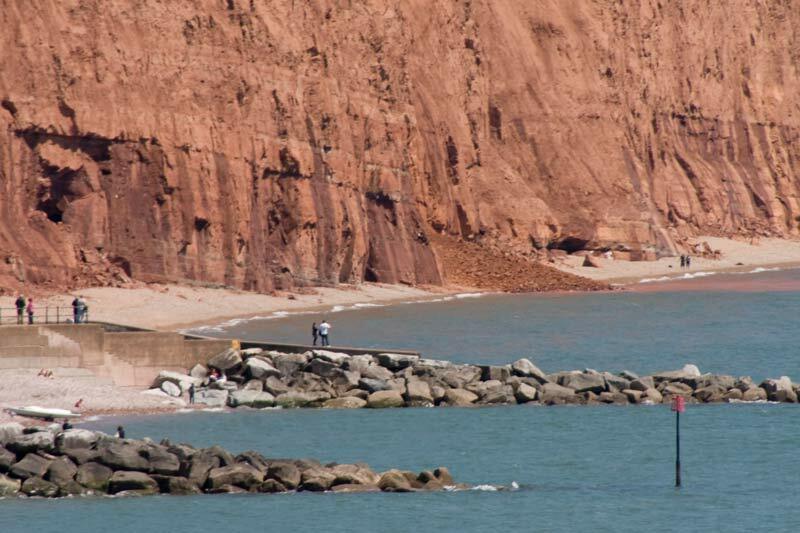 A closer view of the point where the river meets the beach. 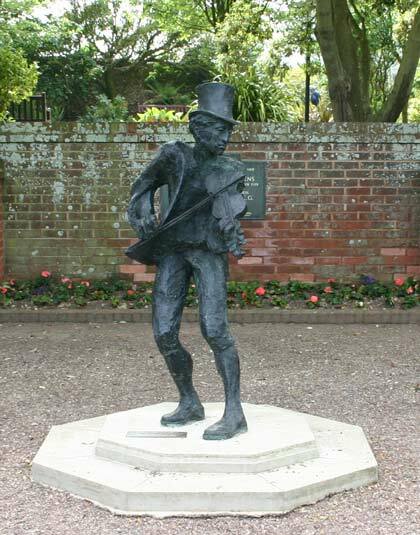 Sidmouth is home to the Sidmouth Festival of Folk Arts, Dance and Music , an annual event in early August, this statue of a fiddler in Connaught Gardens opposite the band stand commemorates the festival. 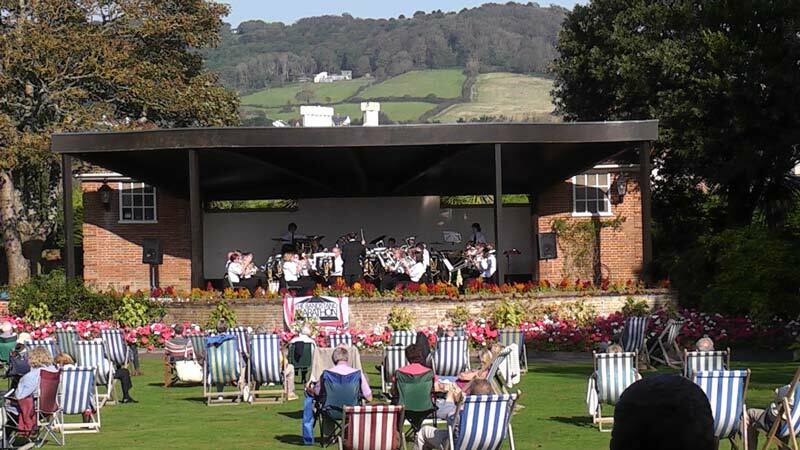 ... to the band stand where we enjoyed listening to the band on a sunny September Sunday. 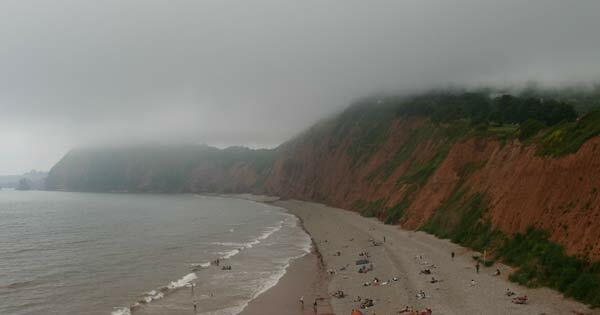 Strange weather on one visit, bright sun over the beach and prom, but mist over the cliffs each side.